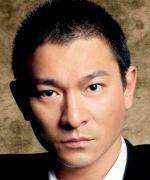 Andy Lau stars in over 100 films and is one of Asia's most popular stars. Born in Hong Kong in 1961, upon graduating from high school, he entered the TVB acting academy, where he studied acting and martial arts. After working in television for almost a decade, Lau made his big screen debut in the critically acclaimed “Boat People” in 1982. Since then, Lau has continue to be one of the most prolific and bankable actors in Asia. He has worked with the best directors including Johnnie To, Andrew Lau, Feng Xiaogang and Jiang Yimou.